The photo shows the small intestine of a pig slaughtered in an abattoir whose wall had a very hard consistency at some places. We can see many whitish spots on the surface of the liver. 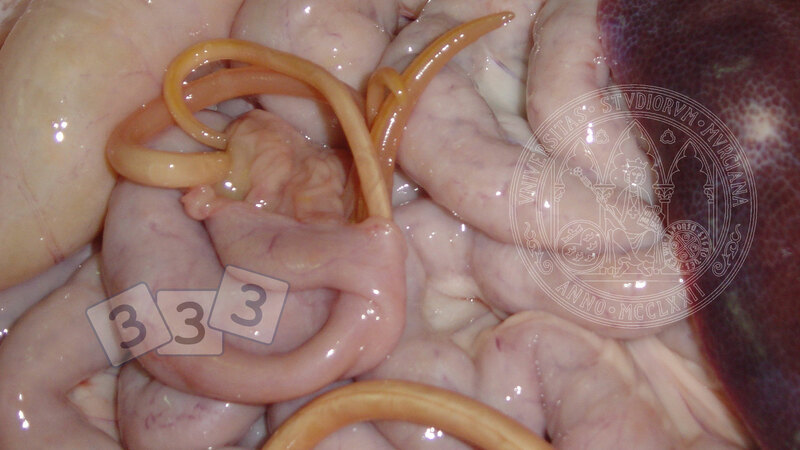 When opening the gut portions with a hard consistency, several worms appeared, some of them exceeding 20 cm of length. It is Ascaris suum, and the liver spots are called 'milk spots', and they are caused by the migration of this parasite's larvae.